(17/P34) TRENTON – Deputy Commissioner David Glass and a host of DEP employees helped ready two gardens in the City of Elizabeth, Union County, for the spring planting season as part of a volunteer effort today in partnership with Groundwork Elizabeth. Deputy Commissioner Glass and other DEP staff joined Groundwork Elizabeth’s Come Grow With Us! Community Gardening Program today to build 100 raised garden beds and assist with other tasks at the Bayway Community Garden at Mravlag Manor, an Elizabeth Housing Authority location, and at the Elizabeth Public Library’s Elmora Community Gardens. DEP volunteers built raised garden beds using precut boards, landscape fabric weed barriers and mushroom compost. They also built wood benches. Jonathan Phillips, Executive Director for Groundwork Elizabeth, was thrilled by the volunteer response. A year ago, DEP awarded a $250,000 grant to Groundwork Elizabeth’s Come Grow With Us! 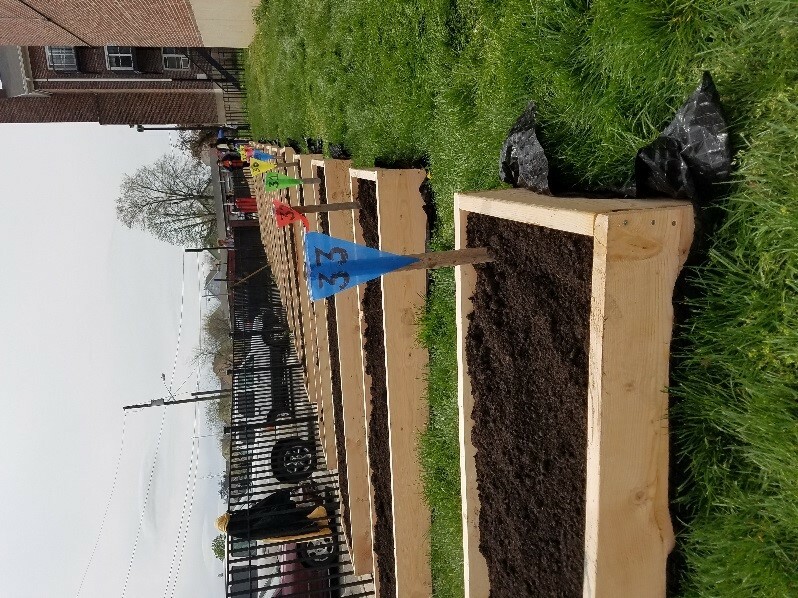 Community Gardening Program to improve access to healthy foods, foster strategies to building sustainable agricultural systems, and develop “green”-focused career opportunities in Elizabeth, neighboring Union Township and other urban areas of Union County. Groundwork Elizabeth works to achieve those goals through the Permaculture Education Agricultural Systems (P.E.A.S. ), which is sponsored in part by DEP. The P.E.A.S. program is a collaborative partnership that brings together governmental partners, the private sector, faith-based organizations, community-based groups, local educators and the community to develop a locally sustainable food system. The collaboration works to combat rising obesity rates, declining health indicators, and increasing costs associated with the production and transportation of food. The Groundwork Elizabeth program is an outgrowth of the Groundwork program founded in England in 1979 to involve the community and public and private sectors, in addressing challenges to urban communities. Groundwork Elizabeth promotes economic and social well-being in the Elizabeth area through a number of community-based partnerships to empower residents, businesses, educational institutions and other organizations that work to improve quality of life. 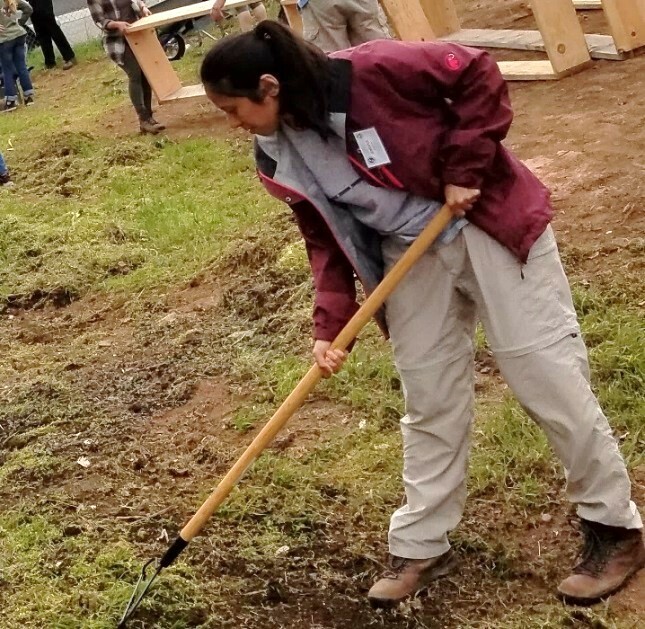 In addition to today’s event, DEP staff have participated in other Groundwork Elizabeth volunteer efforts at Liberty Hall Farm on the campus of Kean University in Elizabeth. Liberty Hall Farm provides locally grown produce to nearby urban communities that may lack adequate resources to access healthy fresh fruits and vegetables. To learn more about the P.E.A.S. initiative, please visit: www.groundworkelizabeth.com.